Want to treat yourself to some stylish and elegant accessories? With a Cohen and Massias voucher you can get yourself kitted out with the latest trends without spending a fortune. Stocking a wide range of luxury watch brands as well as quality jewellery, men's accessories and more, Cohen and Massias has everything you need to look like a million dollars. And with a Cohen and Massias discount code you can make big savings on your final bill. With their origins as a luxury watchmakers and jewellers in Gibraltar in 1958, Cohen and Massias is a brand that's dedicated to providing customers with the very finest accessories around. Growing over the years from a modest venture to a chain of five modern and dynamic shops and a thriving online business, Cohen and Massias capitalises on the commitment, entrepreneurship and sales flair of the family founders and offers the ultimate in customer satisfaction. Today, Cohen and Massias is managed by the children and grandchildren of the original founders and enjoys a strong and loyal following both locally and around the world thanks to its extensive online store. 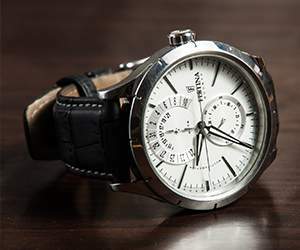 Attracted by the company's good reputation, professionalism, good taste and quality of product, Cohen and Massias' international client base return time and time again to enjoy great value deals on some of the finest watches and jewellery in the world. Shopping with Cohen and Massias is always an enjoyable experience, with a team of knowledgeable and dedicated staff always on hand to help guide you through your purchase and ensure you come away with the item that's right for you whether you're spending a few pounds or a few thousand pounds. Products available include watches and jewellery from famous brands such as Cartier, Bulgari, IWC Jaeger-le-Coultre, Longines, Panerai, Tag-Heuer and Zenith, along with modern names like APM Monaco, Diamonfire, Festina, Follie Follie, Ice Watch, Lacoste, Links London, Lovelinks by Aagard, Nomination and Swarovski among many others. Cohen and Massias are authorised dealers for each brand that they stock, ensuring that all products are 100% genuine supplied direct from the manufacturer. The company also operates a generous reward scheme, allowing shoppers to collect points and spend them on their next purchase. Want to get shopping with Cohen and Massias? With a Cohen and Massias voucher you can make sure you look your best without breaking the bank. 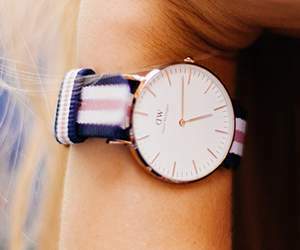 Whether you want an elegant timepiece to last a lifetime or some glitzy diamond earrings for a big party, a Cohen and Massias discount code will help you save money on your final bill. 100% genuine products direct from the manufacturer. Browse our website to find a Cohen and Massias voucher that suits you, then navigate to their website to begin shopping. When you are finished shopping, click 'Pay securely now'. Fill in your details and click 'Next step'. Enter your Cohen and Massias discount code in the box provided. Shoppers can also browse the online store by watch style, jewellery category, material, price range or 'what's new'. Enter your Cohen and Massias voucher in the box provided. Choose your shipping options and click 'Continue'. Fill in your payment details and click 'Confirm payment'. Nearly finished shopping? Don't forget to add your Cohen and Massias discount code for great discounts on your final bill. Delivery is free on all orders up to a maximum of 10% of the value of purchase. If you need to return a product for any reason to Cohen and Massias, simply fill in a returns form and return the product within 20 days of receipt. Want to find out more about what's going on behind the scenes at Cohen and Massias? The company maintains a profile across all your favourite social media networks. Follow them for competitions, product overviews, style inspiration and more. You can also use these pages to find out more about saving money with a Cohen and Massias discount code. Don’t forget to check them regularly, as you can never be sure when a free Cohen and Massias voucher might be waiting for you! Buy now online at www.cohenandmassias.com. 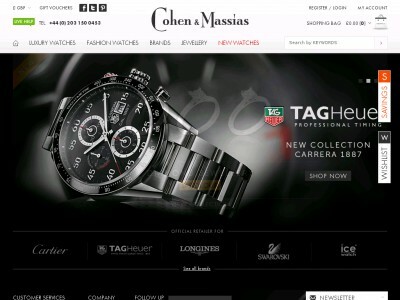 From Cartier to Tag Heuer, Longines to Swarovski, the Cohen and Massias online shop has it all, and when you make your purchase with a Cohen and Massias voucher or Cohen and Massias discount code, you’ll be saving on the best brands in the business without breaking the bank. Come on, think about it, wouldn’t you like to walk away with a ring or a Rolex at a fraction of the sticker price? Wouldn’t you sacrifice a Cohen and Massias voucher for the pleasure? Of course you would; after all, there’s always another Cohen and Massias discount code up ahead.